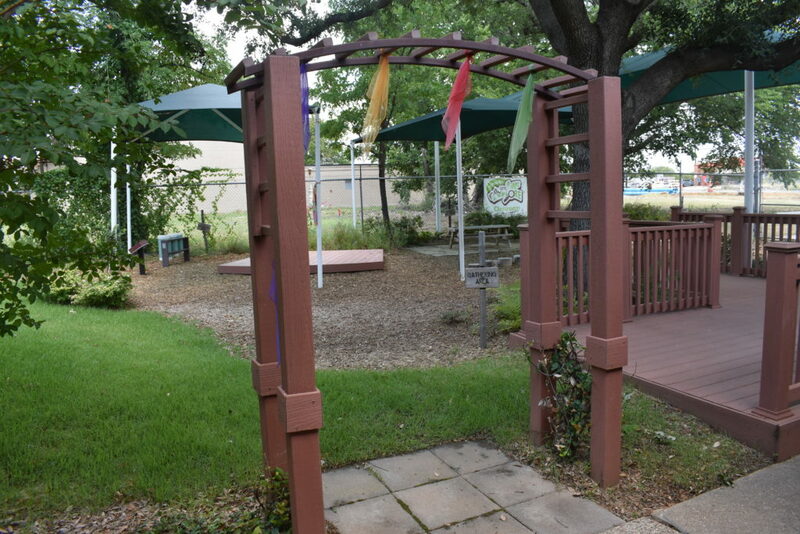 Located in the historic Stop Six Neighborhood of Fort Worth, Texas, the Southside Early Head Start playscape serves 40 infants and toddlers annually. 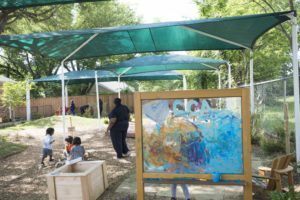 The area offers a uniquely designed space for young children to explore and learn freely in a safe and natural learning environment. The quaint space is inviting and adorned with natural materials throughout the 3,500 sq ft yard. 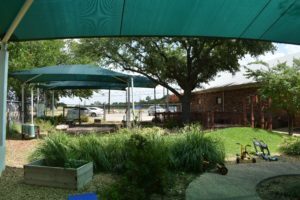 The outdoor classroom is separated into activity areas sectioned off by natural elements with comfortable room to run and play. 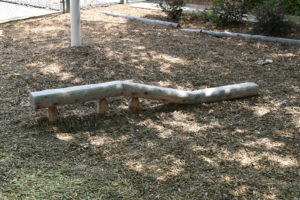 The activity areas include an action area with a paved infinity track for wheeled toys and a bamboo archway under which children can ride with their tricycles or while on the baby buggy. 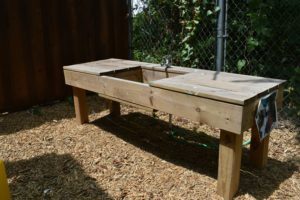 Our mud pie station features a fully functioning sink with a nearby herb garden. The art area is nestled in a space surrounded by natural stone and sand placed in a free pattern that invites creativity and exploration. 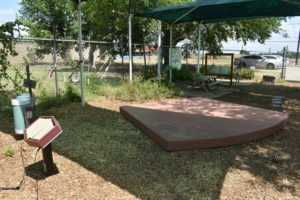 Nearby is the music and movement area where children are able to create lively performances on a custom wooden mini-stage, play instruments including cactus rain sticks, and bang the pots and pans that hang from the nearby fence. 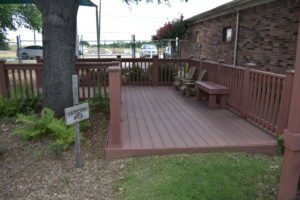 Each activity area is identified by wooden plaques and vivid pictures mounted to the post. 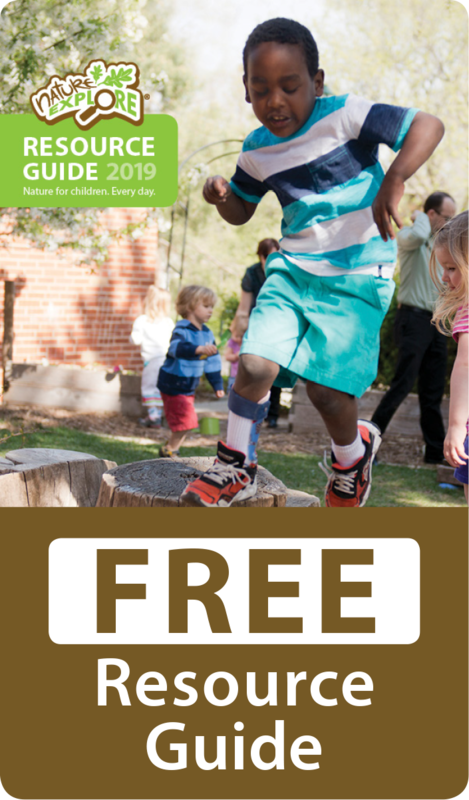 Families are encouraged to get involved and enjoy the space throughout the year.